These photos were taken on September 13, 2018 at 5:56 AM. 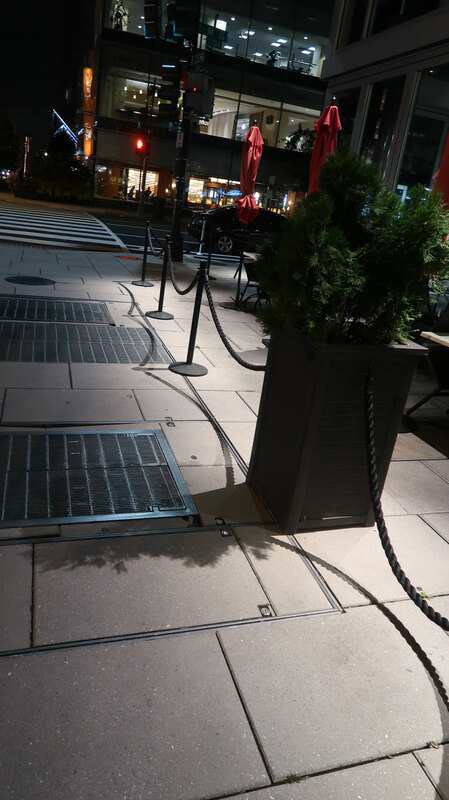 The location was in front of a very nice chain hotel located in the Georgetown section of Washington DC. The "Take It!" 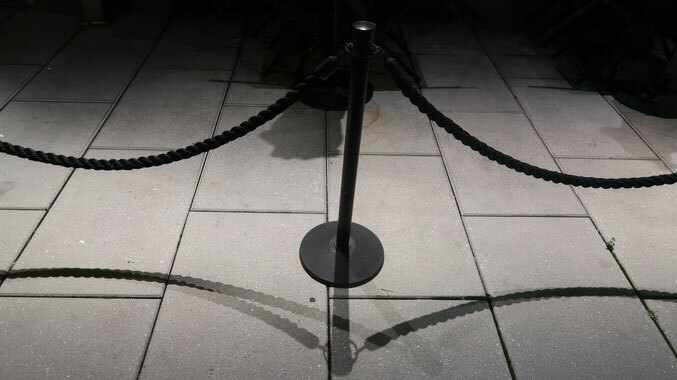 came after having gone into the hotel and done what I needed to do and was returning to my car to move on to the next hotel when I happened to look down at the shadows created by the stanchion held ropes separating the dining area on the sidewalk from general pedestrian foot traffic. 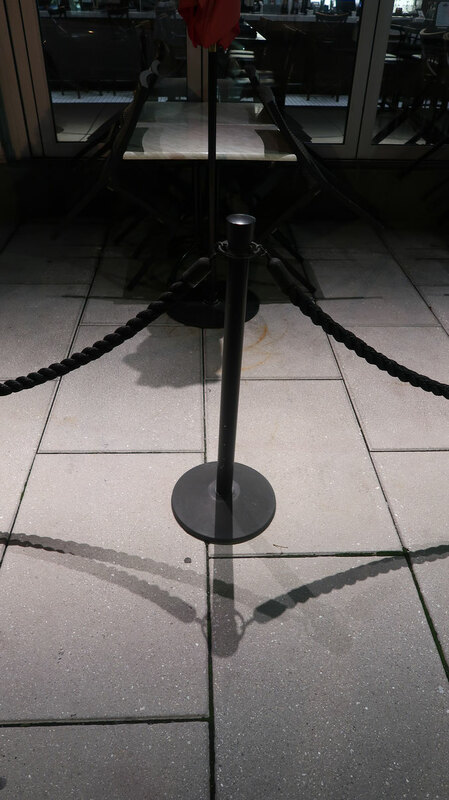 For whatever reason there was a great coming together of the positioning of the upright holders for the ropes which matched up with the overhead lighting produced this ever so pleasant shadow arrangement displayed on the sidewalk. This bit of shadow cool, just happened to come to being and I was lucky enough to have it catch my eye. Here is hoping you find this set to be worthy of some slots in our box of "Eye Candy." It used to baffle me how there could be two shadows for one thing. I remember nightlife! Used to be fun, then we had kids. Our youngest is too cute. She just asked if ants can tight rope walk on that. I can’t imagi being up and out at 5:56am!